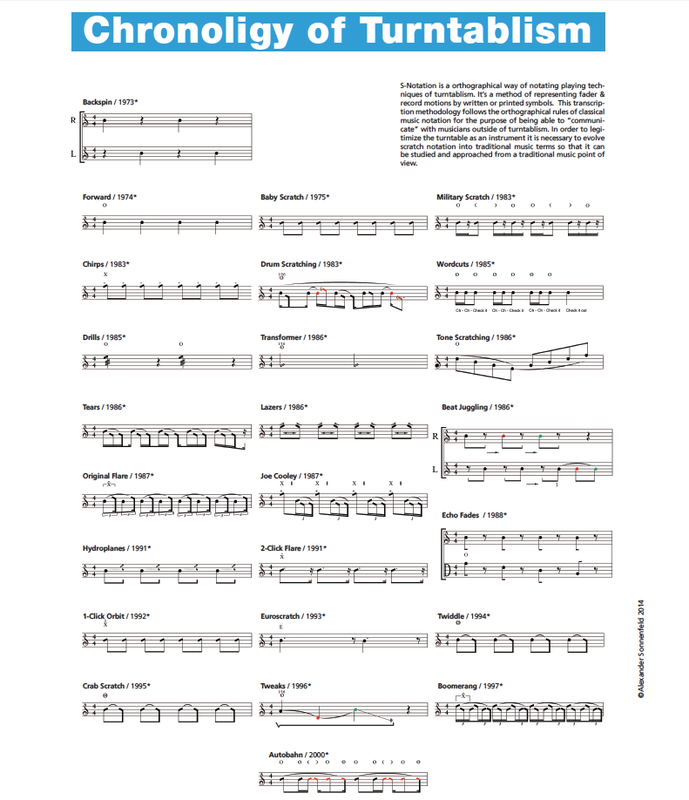 Theory of Motions was employed as a theoretical and methodological framework for creating a notation system for sample-based music. S-Notation is a written transcription method which uses notational symbols to describe the techniques of a performer who plays samples by hand. The end product of these techniques is the modulation of certain parameters of recorded sound material resulting in a new method of making music. Please download the paper (Cambridge/ Tenor2016) or abstract of Theory of Motions to gain more knowledge of the is theoretical framework. If you any questions or suggestions don`t hesitate to contact me. I´m very pleased to provide educational material or fonts for working with S-Notation. Furthrmore I offer online lessons related to DJing and turntablism as well.